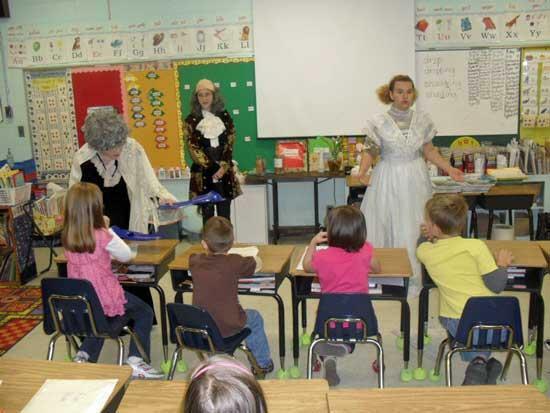 Ben Franklin and family visited Auburn School students Tuesday. They told the students about the contributions Franklin made to the scientific community. Spectacles, electricity, and swim fins are just a few of his many inventions or discoveries.